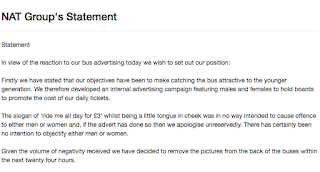 Emailed them, absolutely repulsive advert. OMG. That is beyond disgusting. I have no words. I am disgusted and literally have no word for this. What the hell. What in the... thats disgusting. What were they thinking?!!!! Eww. 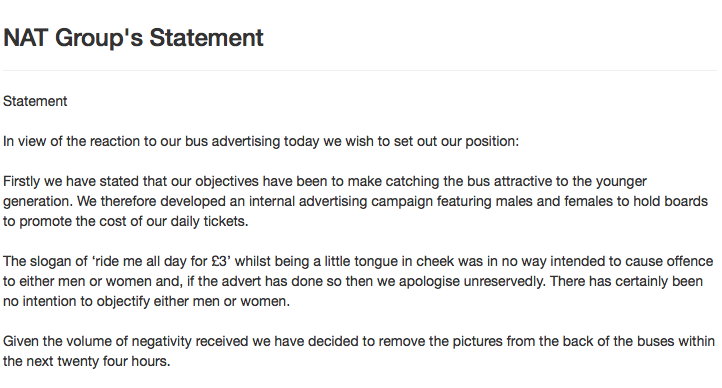 I said on twitter it's particularly distasteful given it's a bus. Buses seem, in recent past, to have been a place where people do some of their worst (Delhi bus attack 2012). That is disgusting....I'm very glad they are removing it. I'm so glad they're removing it, but it shouldn't have been put there in the first place! Such disgusting and poor taste! As someone commented above, a young girl was raped on s bus (in India). 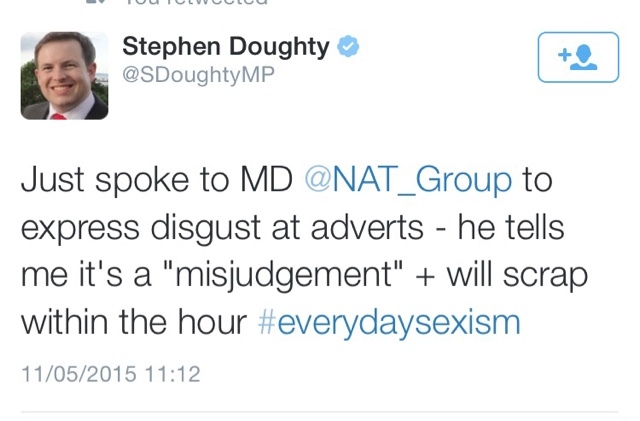 Things like this worry me for another reason: using shock tactics to get cheap publicity. Can this bus company be fined?